410$ USD vnd Per person twin share, min 2 pax. 305$ USD vnd Per person twin share, min 3-10 pax. 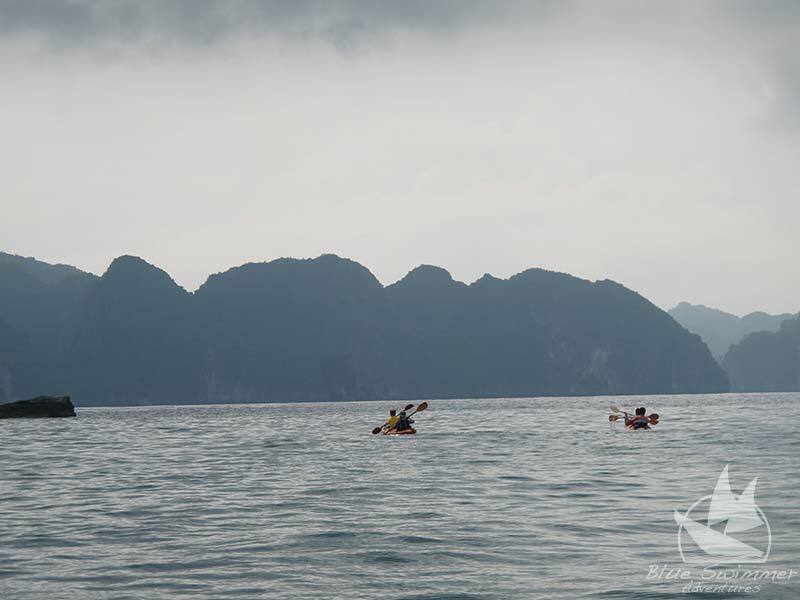 Take time to explore Cat Ba Island and Lan Ha Bay on our 4 Day 3 night custom adventure tour. 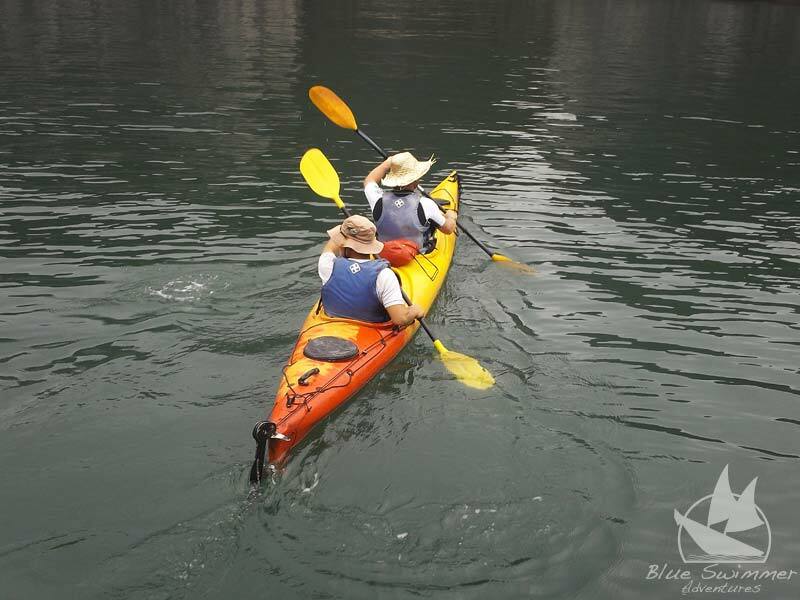 Kayak, trek mountain bike, Sail and explore. We spend two nights in a superior beach bungalow, one night on our sailing junk. Take time to see the real Cat Ba on this Vietnam eco-adventure. 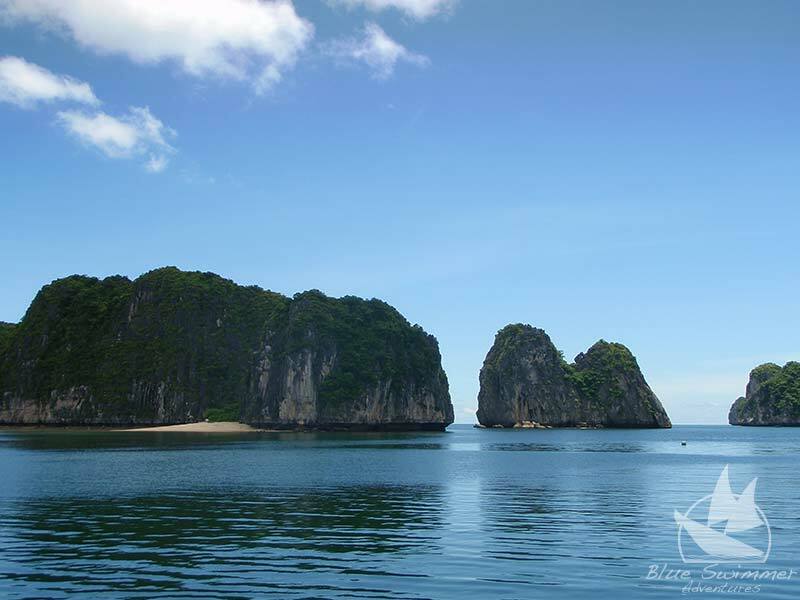 7:00 am: Depart from Hanoi (by bus or private transport) to Cat Ba Island. 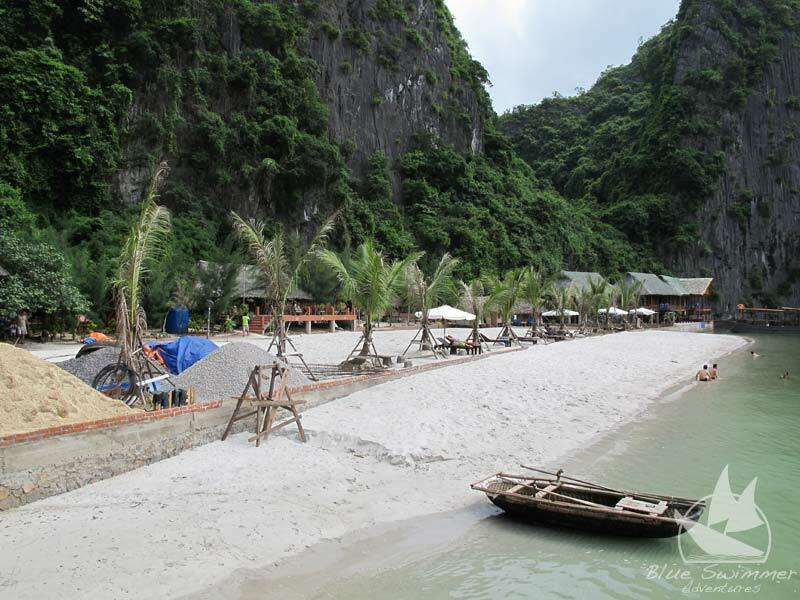 11:30am: Arrive at Cat Ba Island where our staff will meet you. Traditional, fresh dishes are served for lunch, then we will give you a quick briefing so you know what to expect from the day ahead. We will spend the afternoon visiting the floating fisherman’s village, where many fishermen and their families live and work. 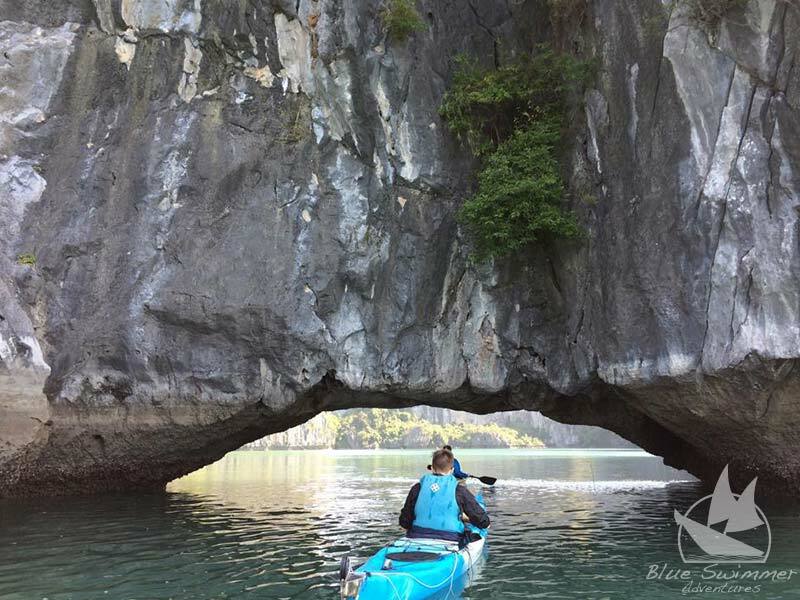 Following this we will paddle gently through the incredible scenery to the private camp, where you can check in to your own private bungalow. There is plenty of time for swimming or relaxing and drinking in the views on the way. 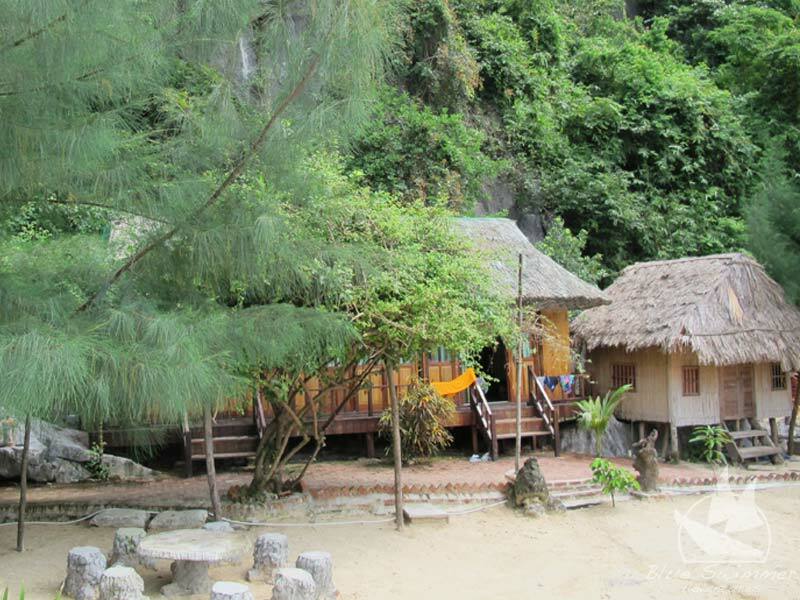 Meals: Lunch & Dinner Accommodation: Overnight in Superior Beach Bungalow. 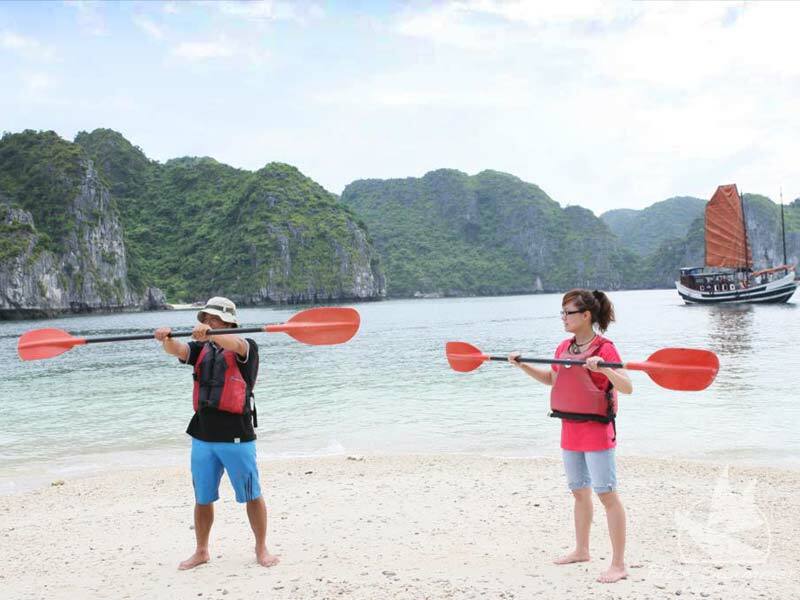 8:30am: After feeding you well at breakfast time we will take you out for a day of kayaking. 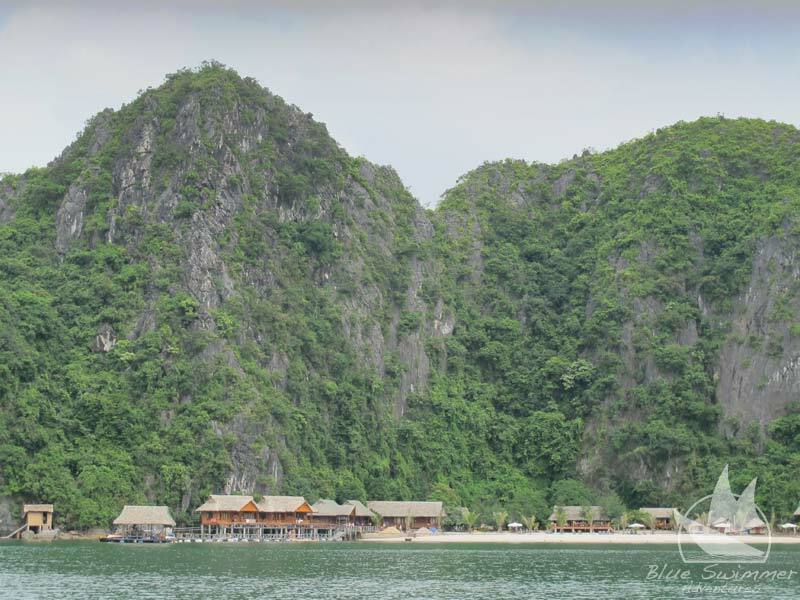 This is enough time to really explore some of the breath-taking islets and caves, and totally immerse yourself in the peace and tranquility. 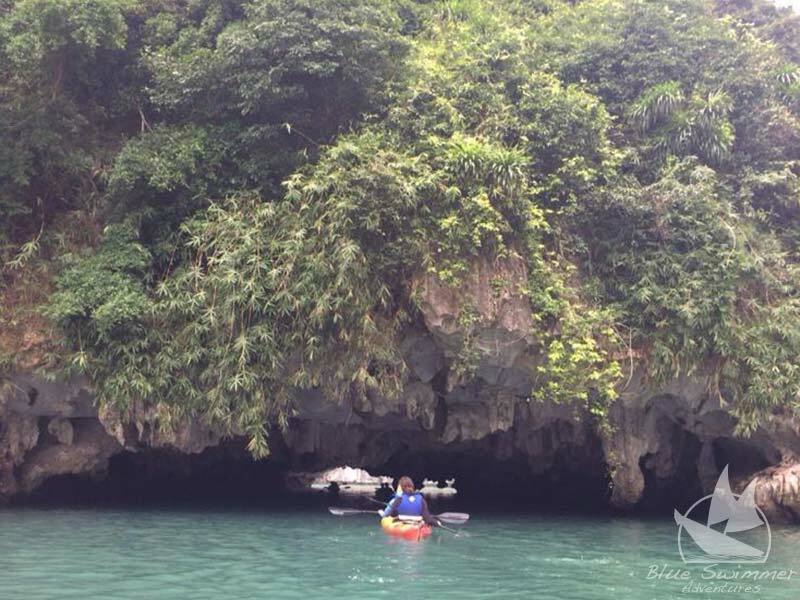 We will have lunch at Three Peaches Island (famous for crystal waters and natural beaches), and visit Three Tunnels Lagoon and Cave. 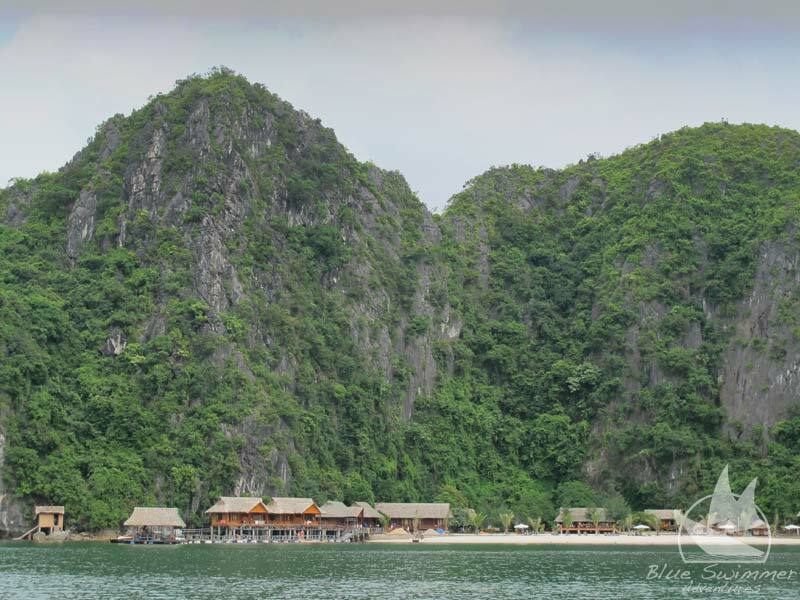 We will also see temples, floating farms, and secluded lagoons. 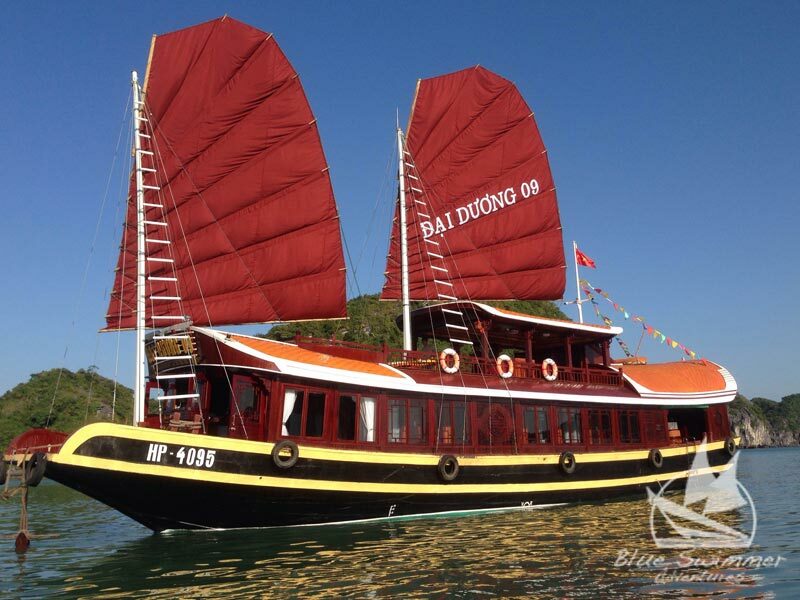 After this action-packed day we will head back to the anchor site in Lan Ha bay for staying overnight in Private Cabin of the Junk. Dinner served on board. Meals: Breakfast, Lunch & Dinner. 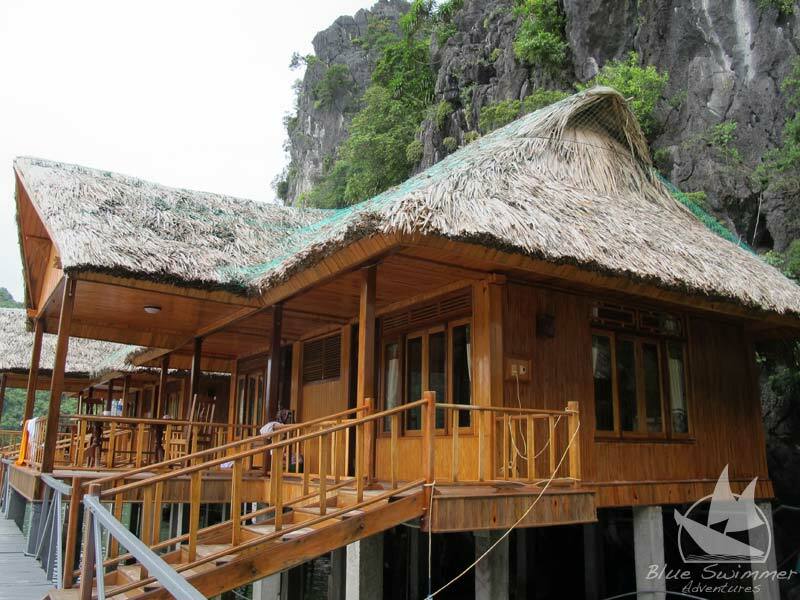 Accommodation: Overnight in Superior Beach Bungalow. 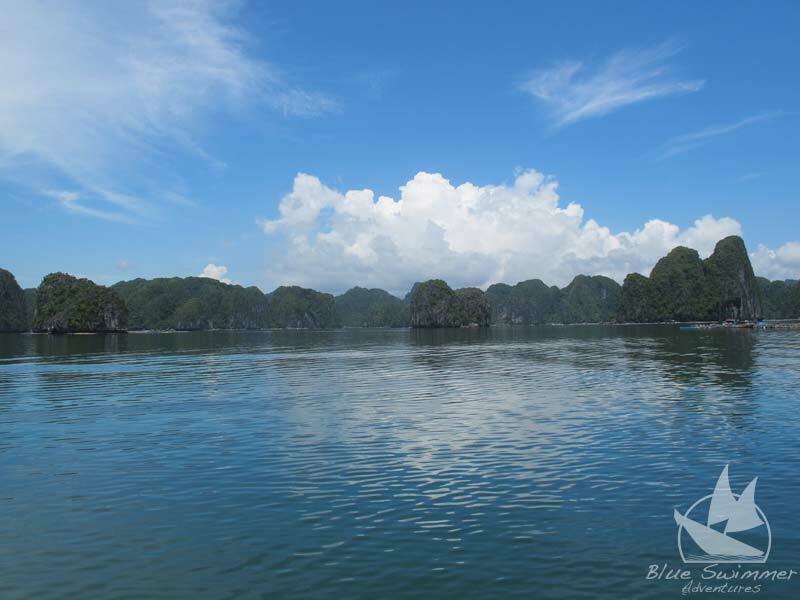 8:30am:Today we will explore the beauty of Cat Ba Island, and experience the majesty of Viet Hai National Park. A cycle ride through the achingly beautiful forests and mountains will bring you to the National Park, which covers 50% of the island. You can choose whether to relax in the village and experience the rural lifestyle, or head out on a two hour trek.This more energetic option will reward you with breath-taking views over Halong Bay, and some stellar photo opportunities. Following lunch we will head out to the pier and get on the junk, check in and enjoy a drink while we cruise the bar and have a seafood set dinner on board the junk. Meals: Lunch & Dinner Accommodation: Private cabin on sailing junk. Biking on Cat Ba Island and explore the villages and views and visit the Family Zoo. 12h:00: Enjoy a Vietnamese lunch before check out.we transfer you to Cat Ba ferry pier, trip ends. Includes: Accommodation in Superior Beach Bungalow, Private cabin on Sailing junk, Kayak, Bike, Meals as listed above, Entrance fees, Guide, shuttle bus.